A face with arched eyebrows, closed peaceful eyes and small relaxed smile. Something good just happened to this emoji, potentially a bit of good news or the conclusions of a significant project. 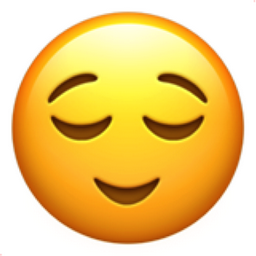 Regardless of the reason, everything about this emoji portrays relieved contentment.